Warner Bros. Games Montreal’s Batman: Arkham Origins releases Friday, closing out this generation with one more bout in the Dark Knight’s boots before we close out this console generation. Arkham Origins is set early on in the career of the World’s Greatest Detective, who finds himself hunted on Christmas Eve. The criminal mastermind Black Mask has hired 12 deadly assassins to take out Batman for an enormous reward, meaning he’s got to stay on his toes if he wants to enjoy another year of Yuletide joy and defend Gotham City from the bloodthirsty mercenaries and their hordes of thugs. Batman: Arkham Origins, developed by WB Games Montreal, releases Friday for the Xbox 360, PlayStation 3, Wii U and Windows. 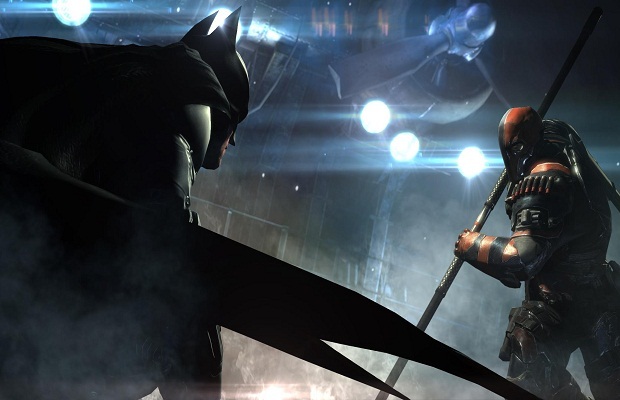 Do you plan to pick up Arkham Origins when it hits this week? Why or why not? Let us know in the comments.